Owned in partnership with Scott Pace of Pace Cattle Company! Thank you Pace Texas Longhorns for partnering with us on this fine animal. 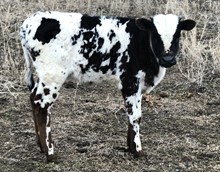 We are proud to own this Bull in partnership with Pace Cattle Company.